Minoru acquired Nejire's targets, er, charm points. Yes, very charming! 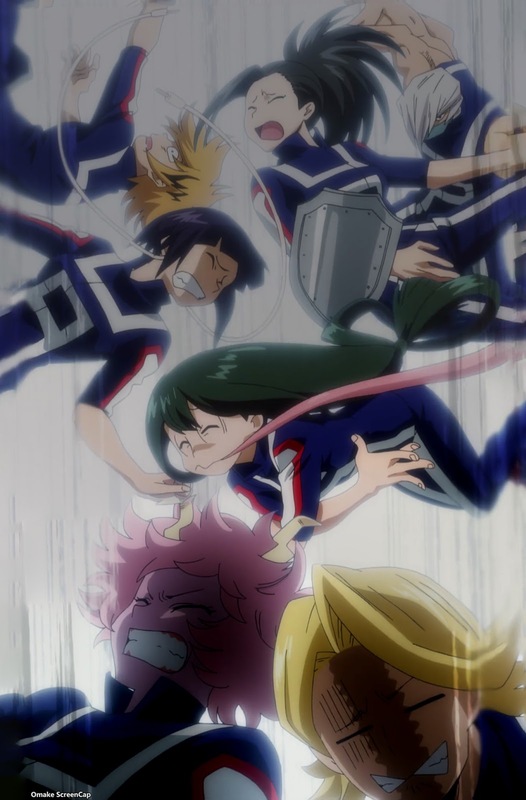 The kids from Class 1A didn't know what to make of the Big Three, who each had very quirky personalities of their own. Mirio decided to show how challenging a Work Internship would be by having the whole class fight him at once. The girls had a little trouble with how he had to be naked for his quirk to work. 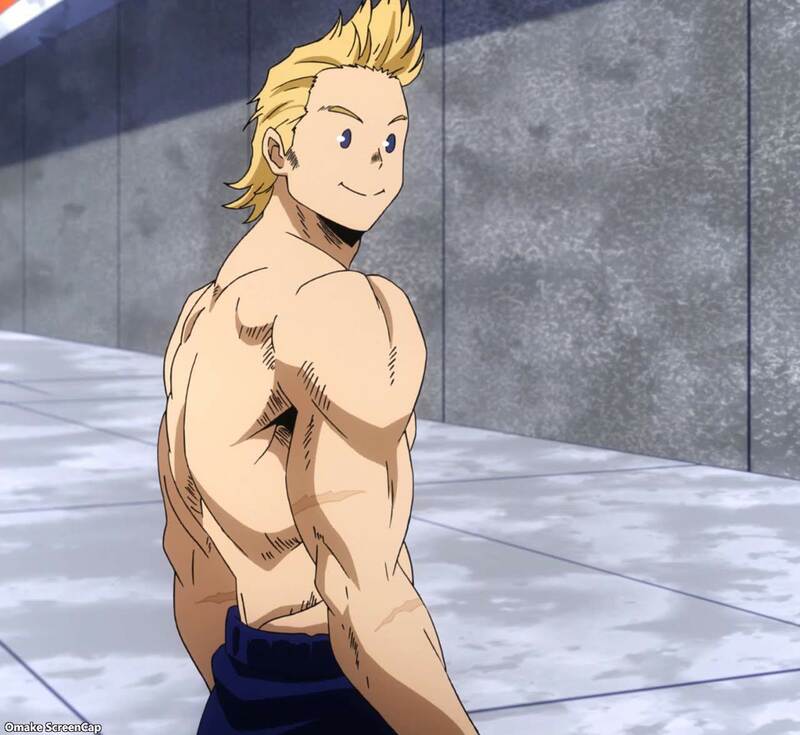 Mirio's Permeation Quirk, and how he uses it, showed the kids how tough a real Pro Hero job could be. 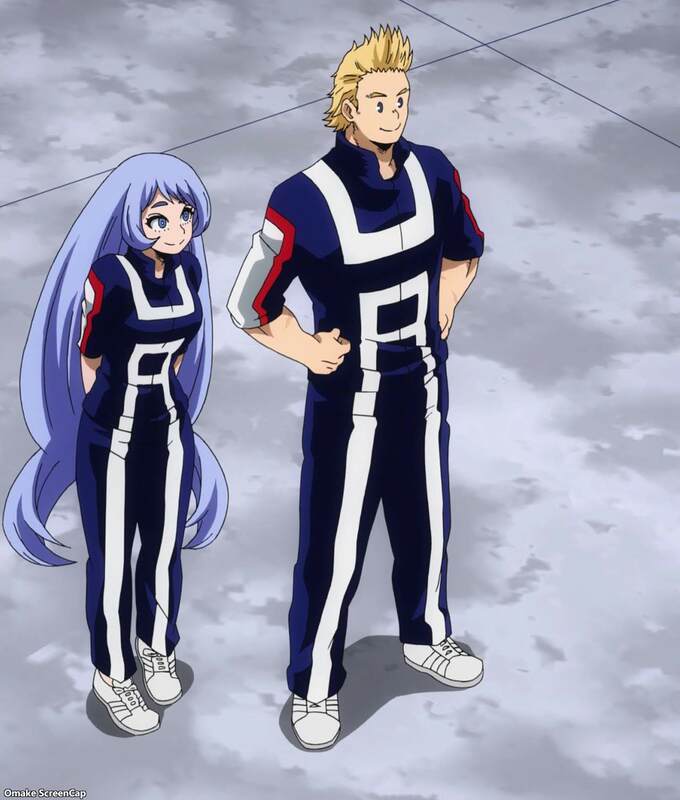 The kids had a lot to think about after seeing the difference in power starting as first-years compared to the Big Three who are at the top of the entire Hero Academy in their third year. The next season won't be for a little bit, but the next arc is going to have the luscious Bubble Girl, who, oh I guess the important part is she works for Sir Nighteye and how important he is to the overall story. 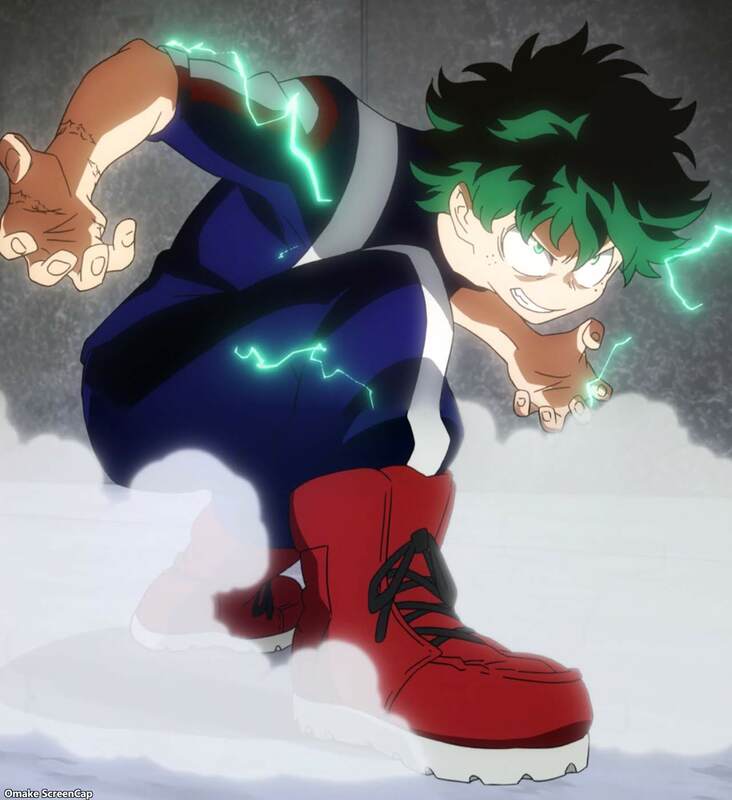 4th Season Plus Ultra!